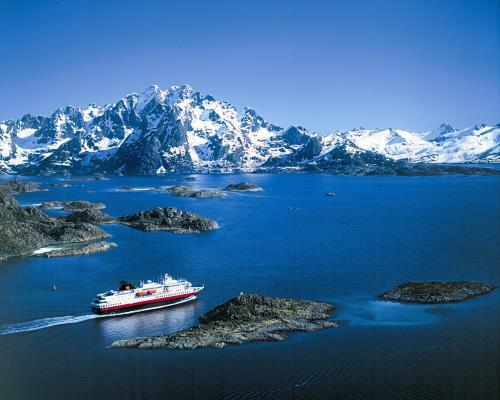 This 7 night package allows you to experience the best that Arctic Norway has to offer from Kirkenes in the far north to the beautiful Lofoten islands, travelling between the two on a Hurtigruten ship. During your week long stay you get the chance to try your hand at a wide selection of activities and to experience a range of accommodations. And you’re spending the week in some of the best Aurora Borealis locations in the world – seeing the Northern Lights in Lofoten is an experience you won’t forget! Day 1: Fly Dublin – Kirkenes via Oslo. Transfer from Kirkenes airport to a 3* quality Scandic or Thon Hotel where you stay for 1 night B&B in a twin room. Day 2: (breakfast, dinner) At leisure to explore Kirkenes. Optional tours: dog sledding, snowmobiling. Transfer from hotel to Kirkenes Snowhotel where you have dinner and stay for 1 night in either the Snowhotel or a Gamme cabin. Day 3: (breakfast) Early transfer to join your Hurtigruten ship which departs at 1230 hrs on your 2 night southbound voyage to Lofoten, staying in a twin Inside cabin on a B&B basis. Day 4: (breakfast) Voyage South. Optional tour: Midnight Concert in the Arctic Cathedral. Day 5: (breakfast) Voyage South. Optional tour: A Taste of Vesterälen coach tour. Disembark ship in Svolvær in Lofoten at 1830 hrs. Transfer to Svinøya Rorbuer where you stay for 2 nights B&B in a traditional Norwegian twin bed cottage. Day 6: (breakfast) At leisure in Svolvær. 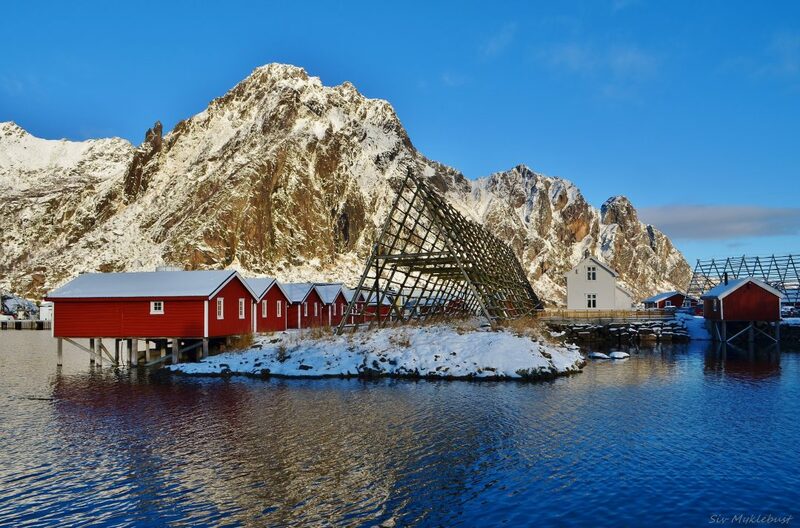 Optional tours (some only operate on selected dates – ask us for details): Lofoten tours (by coach or boat), sea kayaking, snowshoe hike, Historical Fishing Village Walk, Horse Riding (by day or night), Northern Lights chase, Lofoten Photo Tour (by day). Meal options: Self-catering or dinner available in on-site restaurant (pre-booking required) or in Svolvær which is a 20 min walk or approx. NOK 200 taxi ride away). Day 7: (Breakfast) Transfer to Svolvaer Airport. Fly to Oslo where you stay for 1 night B&B in a twin room at an Oslo Airport hotel. You will have time this afternoon/evening to head into Oslo to explore if you wish. Day 8: (Breakfast) Flight from Oslo – Dublin. (Other departure dates available on request but may require extra flights / extra overnights depending on flight schedules. Changes to the cost will apply). Transfer Svinoya to Svolvær Airport. Add extra night(s) in Oslo on your way home from €95 pp. Excursions and tours including dog sledding, photography tour, snowmobiling, sea kayaking, horse riding, Northern Lights hunts. May be booked in advance via Project Travel or locally. Prices on request. Prices correct at time of print (Apr 2018). E&OE. Subject to availability at time of booking. As they are a natural phenomenon, seeing the Northern Lights is not guaranteed. Please call us now on 01 210 8391 or email contact@project-travel.ie to find out more or to book immediately.